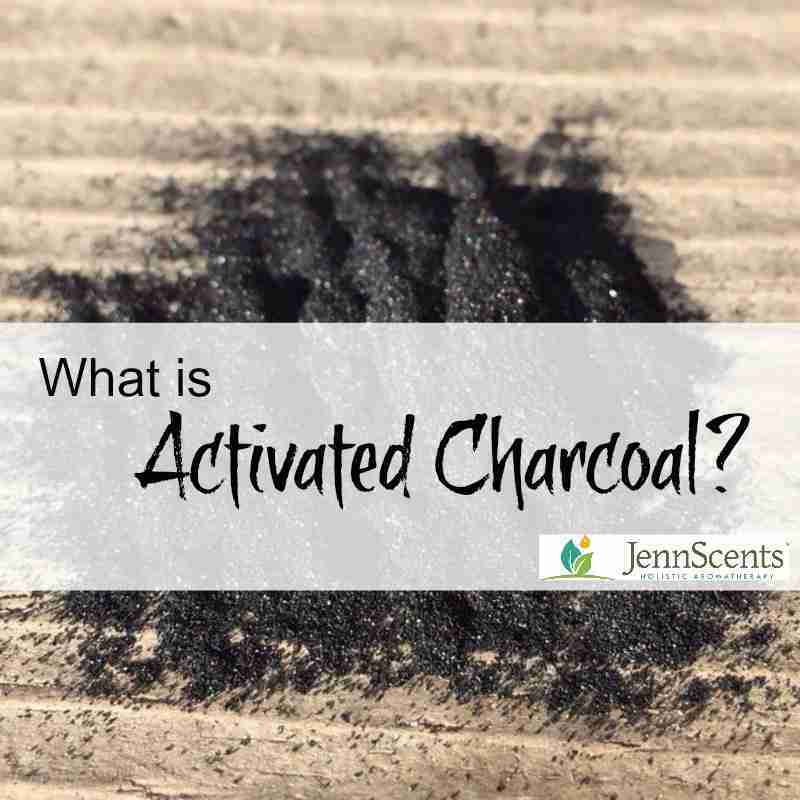 What is Activated Charcoal? - JennScents, Inc. Activated charcoal was a hot trend in 2016 and has been projected to continue in popularity in 2017. It actually is not something new. It has been around for hundreds of years, used commonly by homeopathic doctors, naturopathic doctors, chiropractors, herbalist, aromatherapist and in Emergency Medicine to combat food poisoning. Other benefits include intestinal upset, overproduction of mast cells (that phlegm overload you wake up with) and liver toxicity (i.e., hangovers). Charcoal is an absorbent (sponge) and adsorbent (magnet). Its purpose is to soak up toxic debris so the body can carry it out through normal eliminative channels. It has been shown to offer benefit in reducing cholesterol, managing diabetes, balancing an over acidic pH (charcoal is very alkalizing), calming insect bites and stings, candida, colitis and Crohn’s Disease. Not only does it provide medicinal benefits, you can use it to whiten teeth, in cleaning solutions to combat fungus and bacteria, water purification (charcoal filters) and in gardening to make the soil more alkaline (especially when there is too much acidity). It is a staple I carry with me anytime I travel in case I get some bad food, have an upset stomach, IBS attack, stomach flu (helps to calm or stop vomiting) or want to make up a facial mask to help my skin glow for an event. I also keep it on hand for my pets. One evening, my then 3-year old German Shepherd ate a sago palm seed, which is very toxic and deadly. She became extremely ill within hours. At the time, I did not know why she was sick until investigating further and retracing her steps. She was lethargic to the point of not moving, irregular and shallow breathing, her tongue turned white and she was dehydrated. I administered activated charcoal on an ice cube and rubbed it on her tongue all night long (in 5-10 minutes intervals). All together it was probably 4 capsules. I also saturated her paws and belly with an enzyme spray to enhance her hydration levels. She made it through the night and I took her to our vet first thing next morning. They gave her IV fluids and nursed her back to health throughout that week. The vet attributed her recovery to immediate doses of charcoal. Needless to say, activated charcoal is a versatile herbal remedy that should be in every medicine cabinet. You can use it for its nutritional benefits or to enhance your skin’s appearance. Here is one of my favorite DIY facial masks. Mix ingredients in a glass bowl. Stir slowly to prevent the activated charcoal powder from spilling out of the bowl. Apply generously to face. Leave on for 15-20 minutes than rinse with warm water (to help the charcoal come off easier), followed by cold water (to close up and tighten pores). Repeat 1-2 times a week. Benefits: to cleanse the skin of impurities and bacteria, combat acne, large pores and blackheads.